Euro 2012 Fantasy Football – Win a share of £2500 this summer!!! "Arrys Triffic Thoughts", Match Reports, Random "Triffic" Blogs, Squad News, Transfer News Comments Off on Euro 2012 Fantasy Football – Win a share of £2500 this summer!!! I play fantasy football regularly on a site called Picklive. It has been known as ‘fantasy football on crack’ with their ‘live games’ where you pick five players from the teamsheets in a particular televised matchand those players accumulate points in real time based on what they do during the 90 minute game. OPTA, the statistics company are involved in tracking that activity and logging it for the purpose of converting it to points which can win prizes. Picklive cover premier league, champions league, europa league and international tournaments like this one. But as it’s kind of an ‘off-season’ at the moment and there’s an international event on, Picklive are just holding the normal kind this time. The £2,500 prize pool is one where you pay £15 to make a team of 11 players across ALL TEAMS. But here’s the difference – NO TRANSFER BUDGET LIMIT! You heard it right, there isn’t a set budget like the others. So if you want Van Persie, Ronaldo, Nani, Terry and Klose in the same team, you can have them! The only restraint is that you can’t have more than three players from the same country. PLUS – The prize-pools are only a MINIMUM. If the number of entrants exceeds a certain number in any cash tournament, the prize-pool increases. Prizes are paid out to the top-three places. In a £1000 Fantasy Football tournament for the final day of the season (£10 Stake). If you can’t spare £15, which many of u can’t, you can play in a £10 tournament, join mine (£5) , or even create your own and invite others! Choose the stake and the phase in the tournament, pick your team, invite a few mates/office colleagues and away you go. You can even have a tournament ‘for fun’ and just compete for bragging rights. No cash required. However, if you sign up using my link – https://www.picklive.com/r/YJNHHRNTZFDADXSJAEZD and deposit some cash into your Picklive account, you can get an extra £3 on top. Sounds meager but that is enough for one cash entry where the prize pool is a minimum of £30. Go to the homepage and scroll down to see the many free, low stake and stupid stakes tournaments available. Have fun if you join up! We are now at the end of July and it is exactly 31 days until the end of the transfer window. Manchester United, Liverpool, Manchester City and even Arsenal have strengthened their squads in key positions. United have bought a winger, a centre half and a goalkeeper. Liverpool have bought a winger and a central midfielder. Manchester City have bought one of the worlds best players (again) and will probably buy another entire squad before the window closes just for the craic. Even notorious non-spenders Arsenal have bought a striker. In the midst of all this Tottenham have signed a teenage striker (albeit a highly rated one) when it is clear that our squad needs more extensive strengthening and bloodletting. For a start there is a considerable amount of deadwood that needs to be either cleared from the ranks or turned around. This group consists of David Bentley, Giovani Dos Santos, Robbie Keane, Jermaine Jenas, Ben Alnwick and Bongani Khumalo. In my less-than-humble opinion I would sell them all except Dos Santos who I believe still has something to offer, he’s young, quick and has bags of technique. He just needs to get more first team opportunities. Then there is the necessary strengthening. We need another centre half. Ledley King and William Gallas cannot be relied upon for an entire season meaning we essentially have two centre halves (Michael Dawson and Sebastien Bassong) and two half-centre halves. We also need a striker. We have three strikers in our first team squad but not one of them is a stand-out 20-25 goal a season striker. I think we should allow Roman Pavlyuchenko or Peter Crouch to move on and use the money to put towards a world class replacement. I’m guessing here but I figure most Spurs fans would agree with the changes I’ve outlined above and must therefore conclude that Daniel Levy recognises the necessary changes. So why in the name of Great Oden’s Raven has he not done anything about it!? I can only assume it’s because he’s doing what he always does. Playing the waiting game, looking for that last minute deal to get the best value player or get the best price for a squad member. It’s a tactic that has it’s advantages and Levy is very good at it. However it’s a risky business and I can’t escape the feeling that come midnight on August 31st we are going to have the same squad we do now (minus Luka Modric) and be a long way behind our competitors. Friday will give all us Spurs fans something to look forward too, the draw for the Last 16 of the Champions League as it enters its knockout stages. For this first time this season Tottenham have played Champions League football since it changed format from the old European Cup and boy haven’t we done well in our first season. We topped the group and we topped it in style, we probably had the hardest task out of all the English teams but we came through. Manchester United, Chelsea and Tottenham all won their respective groups but neighbours Arsenal scraped 2nd place in their group which could mean they could face the likes of Barcelona or Real Madrid in the next round. So from that list who would you fancy and who would you rather avoid, does it even matter, are we afraid of anyone? And who would you like us to face? For those of you who will be at work but have access to a computer, sign up or log into the forum and I will try to provide a stream of the draw. 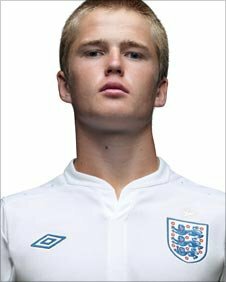 Tottenham, Manchester United and Arsenal are all reportedly monitoring 16 year old Eric Dier, this youngster is different from the rest, he currently plays abroad for Sporting Lisbon as he come through their youth academy and has recently come to the attention of the big clubs in England after recently signing his first professional contract with the Portuguese giants. Dier moved to Portugal as a youngster after his mother landed a new job for the Euro 2004 Championships and was picked up by Sporting Lisbon. He stands 6ft 2in and plays center half and looks to be a promising youngster who is being watched by scouts from the English clubs. Dier has his PE teacher to thank for his progress, he spotted the talent of the youngster at school and put him in touch with Sporting Lisbon scouts who then watched him before signing him up to their youth academy. Earlier this year Dier signed his first professional contract with the club. The youngster can apply for dual nationality when he turns 18 but said it was his dream to play for England, he may in the near future be looked at for an England U17 squad but as yet has had no contact with anyone from the England set up. Dier said he is happy at Sporting at the moment and would like a few more years at the club, however if one of the big English teams come knocking at his door he may think again. Now I know a lot of people will be raving about Rafel Van der Vaart after the week he has had but is he already a God with us Spurs fans? Yesterday against Villa he won us the match, he was inspirational against FC Twente on Wednesday also. Van der Vaart has now scored in each of his three home matches for Spurs. I followed this guy since he was at Ajax and I was hoping we would get him when he was in his early twenty’s but he rather surprisingly went to Hamburg. There is no doubt in my mind that Van der Vaart will be the signing of the season, when he was at Hamburg in Germany he was top scorer for his club three seasons in a row which goes to show the goal scoring ability he has, he also captained the German club which shows he is also a leader. First time I saw this Rafael in action was when he was a youngster, I went on a stag weekend to Amsterdam and we went to an Ajax game and he was head and shoulders above the rest of the players on the pitch. I was shocked when no big European club took him off of Ajax, he would have been a great signing for Liverpool, United, Arsenal and Chelsea back then but nobody would gamble on him. Their cautiousness is now our gain, we have one of the best attacking midfielders in world football. Van der Vaart is so good when it comes to reading the game, he gets himself in the right positions to create chances. His vision is second to none and along with that he nine times out of ten picks the right option for a pass, whether it be a simple pass or a final defence splitting pass. He has qualities that come instinctively, qualities that you can’t coach players. The last time Tottenham had a player who had a top top football brain was Teddy Sheringham and Van der Vaart isn’t too far off. Tottenham have got a real bargain, £8 million wouldn’t even buy his right leg if I was his manager and why Real Madrid wanted to get rid of him especially at that price I will never know. Now he is at Tottenham I am sure he will become a hero and be adored by all the fans, there were a few skeptics who didn’t know much about him but I have never seen a player change the opinion of so many in such a short space of time. He will add the goals that we have been missing for years, he will be our Gerrard, Lampard and Scholes. Let’s just hope we keep him fit, Van der Vaart loves playing football and we love watching him play. I hope he is loyal and doesn’t do a Berbatov on us, that is why I believe it is more important than ever that we finish in the top four again so we can hold on to players like Van der Vaart, Modric and Bale because I fear if we don’t , Man Utd and Chelsea will come knocking. I would love to hear your thoughts on the the man himself Rafel Van der Vaart. Confirmed reports have just been announced that Sir Alex has dropped Wayne Rooney from his squad to face Everton today at Goodison Park. It seems as though Rooney would have been targeted by the Everton fans for abuse during the game after revelations of affairs in his private life. Sir Alex has taken the decision to protect Rooney from the onslaught and removed him from the squad just before kick off, whether Rooney has asked to be excused we do not know. Rooney left Everton to pursue a career with United and there are fans who still remember this and would have relished the chance to verbally attack Wayne today. Rooney is mentally at an all time low and Sir Alex is probably doing the best thing for Rooney. What Wayne needs to realise in the future is that he is a professional and his private life will interfere with his career, his decisions over recent months may now cost his team 3 valuable points today. Following the revelations in Rooney’s private life, Everton away was probably the worst game imaginable for the lad and Sir Alex, I would imagine that once this one is out the way then it will be business as usual for Wayne. This page will be updated with new team squads as we get them. Robin van Persie, Thomas Vermaelen, Sebastien Squillaci. Keepers: Brad Friedel, Brad Guzan. Defenders: James Collins, Carlos Cuellar, Curtis Davies, Habib Beye, Richard Dunne, Eric Lichaj, Stephen Warnock, Luke Young. Midfielders: Stewart Downing, Jonathan Hogg, Stephen Ireland, Isaiah Osbourne, Stiliyan Petrov, Nigel Reo-Coker, Moustapha Salifou, Steve Sidwell, Ashley Young. Strikers: Gabriel Agbonlahor, John Carew, Emile Heskey. Maik Taylor, Stephen Carr, David Murphy, Lee Bowyer, Roger Johnson, Liam Ridgewell, Sebastian Larsson, Craig Gardner, Kevin Phillips, Cameron Jerome, Garry O’Connor, Barry Ferguson, Colin Doyle, Matt Derbyshire, Scott Dann, James McFadden, Michel, Keith Fahy, Nikola Zigic, Stuart Parnaby, Alexander Hleb, Jean Beausejour, Ben Foster, Martin Jiranek, James O’Shea. Paul Robinson, Martin Olsson, Chris Samba, Gael Givet, Ryan Nelsen, Brett Emerton, David Dunn, Nikola Kalinic, El-Hadji Diouf, Vince Grella, Morten Gamst Pedersen, Mark Bunn, Steven Nzonzi, Keith Andrews, Michel Salgado, Jason Brown, Frank Fielding, Pascal Chimbonda, Mame Biram Diouf, Jason Roberts, Benjani. Charlie Adam, Alex John-Baptiste, Chris Basham, Stephen Crainey, Malaury Martin, Daniel Coid, Ishmael Demontagnac, Neal Eardley, Robert Edwards, Jaso Euell, Ian Evatt, Matthew Gilks, Elliot Grandin, Marlon Harewood, Dekel Keinan, Brett Ormerod, Keith Southern, Ludovic Sylvestre, Gary Taylor-Fletcher, Luke Varney, David Vaughan, DJ Campbell, David Carney. Robbie Blake, Adam Bogdan, Gary Cahill, Tamir Cohen, Kevin Davies, Mark Davies, Sean Davis, Johan Elmander, Ricardo Gardner, Stuart Holden, Jussi Jaaskalainen, Ivan Klasnic, Zat Knight, Chung Yong-lee, Fabrice Muamba, Andy O’Brien, Joey O’Brien, Martin Petrov, Sam Ricketts, Paul Robinson, Jlloyd Samuel, Gretar Steinsson, Matt Taylor, Al Al-Habsi. Keepers: Petr Cech, Henrique Hilario, Ross Turnbull. Defenders: Branislav Ivanovic, Ashley Cole, Jose Bowingwa, John Terry, Alex, Paulo Ferreria, Yury Zirkov. Midfielders: John Obi Mikel, Michael Essien, Ramires, Frank Lampard, Yossi Benayoun, Florent Malouda. Strikers: Nicolas Anelka, Didier Drogba, Salomon Kalou. Keepers: Tim Howard, Jan Mucka, Ian Turner. Defenders: Sylvain Distin, Tony Hibbert, Seamus Coleman, Phil Jagielka, John Heitinga, Leighton Baines. Midfielders: Marouane Fellaini, Leon Osman, Mikel Arteta, Steven Pienaar, Diniyar Bilyaletdinov, Phil Neviile, Tim Cahill. Strikers: Louis Saha, James Vaughan, Victor Anichebe, Yakubu, Jermaine Beckford. Keepers: Mark Schwarzer, David Stockdale. Defenders: John Pantsil, Fredrik Stoor, Aaron Hughes, Rafik Halliche, Chris Baird, Brede Hangeland, Carlos Salcido, Stephen Kelly. Midfielders: Zoltan Gera, Clint Dempsey, Bjorn Helge Riise, Dixon Etuhu, Kagisho Dikgacoi, Danny Murphy, Jonathan Greening, Simon Davies, Damien Duff. Strikers: Andrew Johnson, Diomansy Kamara, Moussa Dembele, Bobby Zamora, David Elm, Eddie Johnson. Keepers: Pepe Reina, Brad Jones. Defenders: Stephen Darby, Jamie Carragher, Glen Johnson, Paul Konchesky, Daniel Agger, Fabio Aurelio, Sotirios Kyrgiakos, Martin Skrtel. Midfielders: Joe Cole, Steven Gerrard, Jay Spearing, Ryan Babel, Milan Jovanovic, Dirk Kuyt, Lucas, Raul Meireles, Christian Poulsen, Maxi Rodriguez. Keepers: Shay Given, Joe Hart and Stuart Taylor. Defenders: Jerome Boateng, Wayne Bridge, Aleksander Kolarov, Vincent Kompany, Joleon Lescott, Shaleum Logan, Micah Richards, Kolo Toure and Pablo Zabaleta. Midfielders: Gareth Barry, Nigel de Jong, Adam Johnson, Michael Johnson, James Milner, David Silva, Yaya Toure, Patrick Vieira an Shaun Wright-Phillips. Forwards: Emmanuel Adebayor, Jo, Roque Santa Cruz and Carlos Tevez. Keepers: Edwin van der Sar and Tomasz Kuszczak. Defenders: Gary Neville, Patrice Evra, Rio Ferdinand, Wes Brown, Nemanja Vidic, John O’Shea and Jonny Evans. Midfielders: Owen Hargreaves, Anderson, Ji-Sung Park, Michael Carrick, Nani, Darren Fletcher, Antonio Valencia, Gabriel Obertan, Darron Gibson, Paul Scholes and Ryan Giggs. Strikers: Michael Owen, Dimitar Berbatov, Wayne Rooney and Javier Hernandez. Keepers: Steve Harper, Fraser Forster, Tim Krul. Defenders: Sol Campbell, Steven Taylor, Jose Enrique, Fabricio Coloccini, Danny Simpson, Mike Williamson, James Perch. Midfielders: Joey Barton, Alan Smith, Danny Guthrie, Jonas Gutierrez, Kevin Nolan, Wayne Routledge, Ryan Taylor, Cheik Tiote, Hatem Ben Arfa. Strikers: Shola Ameobi, Peter Lovenkrands, Leon Best, Xisco. Asmir Begovic, Danny Collins, Rory Delap, Salif Diao, Matthew Etherington, Abdoulaye Faye, Ricardo Fuller, Eidur Gudjohnsen, Danny Higginbotham, Robert Huth, Kenwyne Jones, Carlo Nash, Jermaine Pennant, Danny Pugh, Ryan Shawcross, Thomas Sorensen, Tuncay Sanli, Ryan Shotton, Tom Soares, Michael Tonge, Jonathan Walters, Glenn Whelan, Dean Whitehead, Andy Wilkinson, Marc Wilson. Midfielders: Lee Cattermole, Nedum Onuoha, Andy Reid, Steed Malbranque, Kieran Richardson, Boudewijn Zenden, Cristian Riveros, Ahmed Elmohamady and Robbie Weir. Keepers: Heurelho Gomes, Stipe Pletikosa, Carlo Cudicini. Defenders: William Gallas, Kyle Naughton (H), Ledley King (H), Michael Dawson (H), Sebastien Bassong, Younes Kaboul, Benoit Assou-Ekotto. Midfielders: Vedran Corluka, Alan Hutton, David Bentley (H), Tom Huddlestone (H), Jermaine Jenas (H), Luka Modric, Niko Kranjcar, Wilson Palacios, Rafael van der Vaart, Jamie O’Hara (H), Aaron Lennon (H). Strikers: Peter Crouch (H), Jermain Defoe (H), Roman Pavlyuchenko, Robbie Keane (H). Keepers: Scott Carson, Dean Kiely, Boaz Myhill. Defenders: Marek Cech, Pablo Ibanez, Gonzalo Jara, Abdoulaye Meite, Jonas Olsson, Nicky Shorey, Gabriel Tamas, Gianni Zuiverloon. Midfielders: Giles Barnes, Chris Brunt, Graham Dorrans, James Morrison, Youssouf Mulumbu, Steven Reid, Paul Scharner, Somen Tchoyi, Jerome Thomas. Strikers: Roman Bednar, Simon Cox, Marc-Antoine Fortune, Ishmael Miller, Peter Odemwingie. Keepers: Rob Green, Ruud Boffin. Defenders: Tal Ben Haim, Manuel Da Costa, Danny Gabbidon, Herita Ilunga, Lars Jacobsen, Winston Reid, Jonathan Spector, Matthew Upson. Midfielders: Luis Boa Morta, Valon Behrami, Jack Collison, Kieron Dyer, Julien Faubert, Thomas Hitzlsperger, Radoslav Kovac, Mark Noble, Scott Parker. Forwards: Pablo Berrara, Carlton Cole, Zavon Hines, Fred Piquionne, VIctor Obinna, Benni McCarthy. Keepers: Marcus Hahnemann, Wayne Hennessey, Carl Ikeme. Defenders: Kevin Foley, Ronald Zubar, Richard Stearman, Jody Craddock, Christophe Berra, Steven Mouyokolo, George Elokobi, Stephen Ward, Jelle Van Damme. Midfielders: Karl Henry, David Jones, Michael Mancienne, Dave Edwards, Greg Halford, Nenad Milijas, Adlene Guedioura, Matt Jarvis, Stephen Hunt. Strikers: Kevin Doyle, Steven Fletcher, Sylvan Ebanks-Blake, Marcus Bent. Clubs must name squads containing at least eight homegrown players and no more than 25 players in total. A homegrown player is defined as one who, irrespective of his nationality or age, has been registered with any club affiliated to the Football Association or the Welsh Football Association for a period, continuous or not, of three entire seasons or 36 months prior to his 21st birthday (or the end of the season during which he turns 21). In keeping with UEFA guidelines, an Under-21 player is defined as one who is under the age of 21 on January 1 in the year in which the season commences. For the 2010-11 campaign, Under-21 players will have been born on or after January 1, 1989. Any players under 21 can be added to the squad, regardless of nationality. – Rules apply only to Premier League matches, not European, FA Cup or League Cup action. So no Woody in the Spurs 25, that doesn’t mean he is finished, the squad can be altered in January and he isn’t going to be fit by before then so this makes perfect sense. If his operation goes well and he makes a recovery then expect him to be included in the next squad. I have heard a few words in the last few minutes and some Inter Milan sites are reporting that they have sold Sulley Muntari to us, keep an eye on this space I will update this page with more throughout the evening as and when I find out. There are a few Italian sites saying that Tottenham and Inter have agreed a deal to do business for Sulley Muntari, they claim the news of this will break out within the next few hours. Redknapp who managed Muntari at Portsmouth has always been an admirer of the player and has made no secret of his desire to bring some of his former players to Spurs. It could be that due to Liverpool being linked with the midfielder after the sale of Javier Mascherano that Redknapp has decided to make his move fast for the 26 year old. This Article will be updated over the next hour or two while I dig in for more research so keep checking back…..
“Sulley Muntari is a new player of Tottenham. The Ghanaian midfielder after nearly six months of hesitation decided to accept the offer of the British club and will move immediately to England to get employed by the technical Harry Redknapp. The two had been together at the time of Portsmouth and is therefore a return to basics. Happiness for the player who, having realized that he had more space in the Inter team, she decided to run in London that training will also attend the Champions League. So lets wait and see if this is true or not, no English tabloids have picked up on this yet, you heard it here first at Triffic. International markets – the adventure ends after two seasons at Inter’s 26 year old Ghanaian Sulley Muntari, according to what is reported in these minutes of the on-line Tuttosport, was transferred from Inter to Tottenham. The Spurs player had at least one season, Muntari, where the negotiations would end favorably, soon found himself against the old fellow in the double challenge of the Champions League between Inter Milan and Tottenham. So it is gathering pace in Italy but not so much in England yet , one site is even reporting that it is Inter who are trying to sign Bale and have thrown in Muntari + cash for the deal. I can’t see that Harry would ever let Bale go. It turns out that over recent weeks Harry made enquiries to Manchester United over the possibility of signing England Defender Rio Ferdinand. It seems as though Harry thought that Fergie was getting frustrated at Ferdinand’s continuous injury problems and saw his opportunity to strike. Redknapp was told that Rio was not for sale at any price but you have to admire the Spurs manager and his ability to aim high when trying to sign a player in this case. It was Harry that brought Rio through the ranks at West Ham and having missed out on Joe Cole would have liked another former West Ham player at the club. It is said that Spurs even had their medical staff assess Rio and his injury problems and was given the the green light but United simply didn’t want to do business and who can blame them. Since then Spurs have snapped up William Gallas on a freebie to help cover with the absences of Ledley King and Woodgate at the back. So, it’s not like it really matters anymore but I thought you might like to know what our dear manager had been up to during the summer. 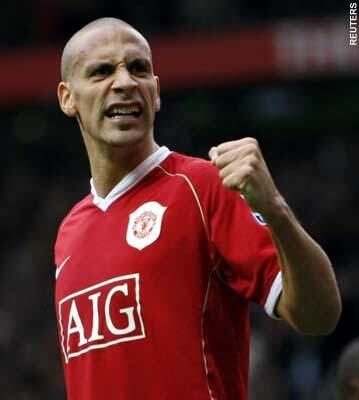 I can’t see why Rio would leave United just yet although Harry is his old boss and London is his home town. Rio in a Spurs shirt, won’t be happening anytime soon I’m afraid. We will never know how far this one went, if at all, could have just been the newspapers with nothing better to do. It is nice to see us linked with some big names but then again we always have been, we need to start signing them up now to be taken more seriously. Spurs In For Ex-Manchester United Hitman? Well according to Sunday’s News Of The World, Tottenham will be lining up a move for Villarreal striker Giuseppe Rossi if Klaas-Jan Huntelaar falls through. Rossi is valued at around £8million and recently scored a hat-trick against us for Villarreal in a friendly, he looked to have learned a lot since his Manchester United days. Both Daniel Levy and Harry Redknapp share the hunger to bring in a new striker before transfer deadline day on Tuesday evening. Personally I would rather take the punt on Klaas-Jan Huntelaar, would love for us to give him a break in the Premiership and hopefully he can live up to his potential. I think the number 1 choice for Spurs is with out a doubt Luis Fabiano but Sevilla are playing hardball for the forward, they demand in excess of £25million for a player who is around the 30 mark and only has one year left on his contract. Giuseppe Rossi has a decent strike rate since he moved to Italy and then to Spain and the availability of the forward is interesting Harry. I would be surprised if we didn’t bring in a forward especially after the Wigan result, a top class finisher could be the difference between winning and losing. Personally I wouldn’t rate Rossi above Crouch, Pav, Defoe or Keane but come Tuesday evening I expect Keane to be gone and another forward in his place, the question remains, who? CHAMPIONS LEAGUE DRAW – Tottenham To Face European Champions! Tottenham will face European champions Inter Milan and Werder Bremen…. The draw has just been made and Tottenham have been welcomed to the Champions League with a draw that see’s us in a group with the reigning champions Inter Milan of Italy, Werder Bremen of Germany and FC Twente of Holland. Manchester United face Valencia and Rangers while Arsenal look to have the easiest draw against Shakhtar and Braga. Chelsea should also make easy work of the group stages with a draw that see’s them in a group with Marseille and Spartak Moscow. It is fair to say we could have had an easier draw but this is what it’s all about now, to be the best you have to beat the best and this is what we have been relishing. There is no more hiding the big boys are coming to the Lane. All I can say is whatever the outcome of the group stage just go out there and do us proud boys and you will will be icons in our eyes. Lucky Arsenal have an easy group yet again and once again Manchester United are in a group with a Scottish team. I dream that we can emulate what Leeds done and go on an unexpected run but whatever the outcome I know we just won’t want it to end. No more week nights of planning to watch Eastenders or Corrie, we can plan to watch our Tottenham in the Champions League. All eyes on group A, between now and Christmas it’s going to be one hell of a roller coaster ride. So with less than a week to go before we open up the Premiership season with a mouth watering fixture agaisnt Manchester City what can we class as a successful season again? I would personall be more than happy with another top 4 finish and I might be a little greedy here but I would love to get through the group stages of the Champions League, I don’t see any reason why we can’t have a good run in that, Leeds have done it before so why not us? When it comes to the League Cup you can pretty much bet that our squad will be weakend during the early rounds, if we get to semi final stage then I would expect Harry to take it a little more seriously, I don’t see this issue happening in the FA Cup so there is no reason we shouldn’t be aiming to win it. People have come out and said that we could be title contenders, now as a Spurs fan and a realist I think this might be a little optimistic, so not just yet. I think our aim should be another top 4 finish but I think even that will be harder than last season. We are a very good side but I still think we lack something, we still have that inconsistent Tottenham way where we will beat a top team one week and lose to a bottom of the league team the following week. If we are to maintain that top 4 push again we will need to ensure that White Hart Lane remains a fortress and we should be aiming to win 8 or 9 away matches. Last season’s away record was a big improvement on recent years which is why we finished 4th. Harry is the right man for the job, he won’t be taking any crap off of the players and will ensure they remain professional and 100% focused. I am sure we will have a couple of blips along the way but I am also confident we will pull off a few great results. In about 10 days time we will taken on Young Boys for a place in the Champions League proper, can you imagine the feeling when you sit down on a Wednesday night and the Champions League comes on the television, then it sinks in that it is actually Tottenham you will be watching. This is something we have all dreamed of for years and this season it could and should become a reality. So in conclusion for me, my aim is another top 4 finish and a good run in the Champions League, Would also like to have a day out at Wembley in one of the cups. So please use the comments box below and share your views, I would be interested to know your targets and what you would call a successful season again for the 2010/11 campaign in all competitions. Also if you have no access to Sky and want to watch today’s Commuinity Sheild of Chelsea v Manchester united, then streams are in the FORUM so sign up there of login using your username.